The Phillips Collection in Washington is hailing Nordic Impressions, its 200-year survey of work by 53 artists from Åland, Denmark, the Faroe Islands, Finland, Greenland, Iceland, Norway and Sweden, as the first exhibition of its kind in the US. 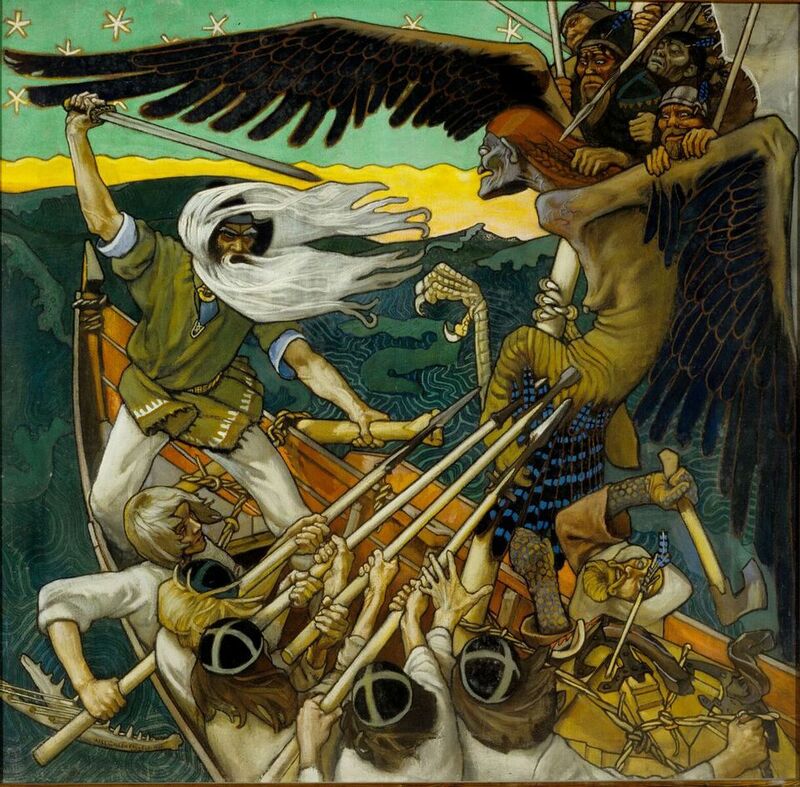 Crowd-pleasers in the show, which includes art dating from 1821 to the present, include Edvard Munch and Ólafur Elíasson, but the real coup was securing a loan of Akseli Gallen-Kallela’s 1896 painting The Defense of the Sampo from the Turku Art Museum. That work, which is a national Finnish treasure, had only left Finland once before, to go to the Musée d’Orsay in Paris. “It’s one of the most important Nordic paintings in existence,” said Klaus Ottmann, the museum’s chief curator and deputy director for academic affairs. The narrative depiction of a struggle over a mythical object aboard a boat, inspired by a Finnish epic, is installed next to a 2017 video called Ancient Baby by Tori Wrånes, which shows the Norwegian artist appearing to soar while wearing a mask and bright orange coat and making noises. 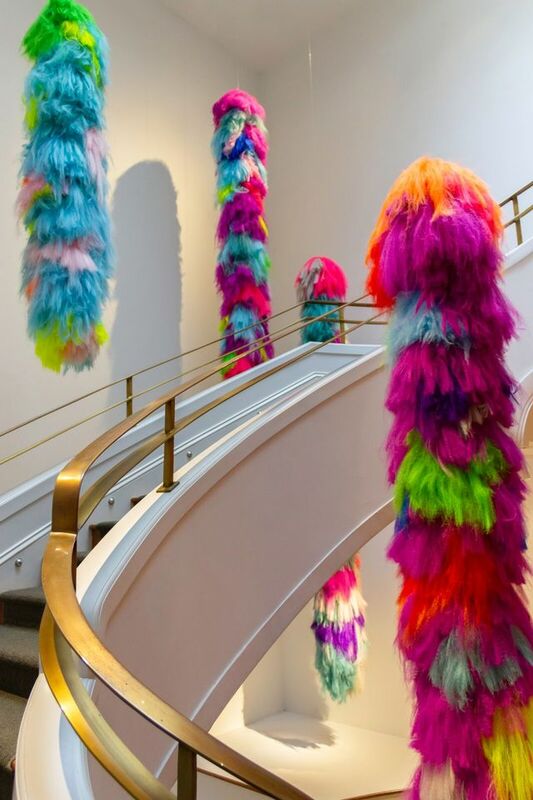 Dorothy Kosinski, the director and chief executive of the Phillips, says that this room is her favourite in the show, which continues through 13 January 2019. “It works so seamlessly, and it evokes all of that beautiful love of folklore and wonder about nature and mystery,” she says of the juxtaposition. During a press viewing, both Kosinski and Ottmann praised Nordic countries for their support of female artists, and Kosinski referred to the nations’ “dynamism and forward thinking”. During a three- or four-week intensive research trip to the countries, which was funded by their embassies, Ottmann says he was struck by how many women are represented in 19th-century galleries in Stockholm, Oslo and Reykjavik. “We don’t really see that in this country,” he said. “I learned a lot about how strong the support group for women artists was early on in the Nordic countries.” Many female artists traveled to other cities in Europe to study and then returned home to create art schools, which in turn influenced more female artists. “It was really impressive,” Ottmann said. Gender parity is a priority in Iceland, says Hrafnhildur Arnardóttir, an Icelandic artist whose art is on view and goes by the nickname Shoplifter. Arnardóttir, who lives in New York and whose work often incorporates human hair, has been chosen to represent Iceland in next year’s Venice Biennale. Another resonant work is Norwegian artist Oda Krohg’s 1887 painting “A Subscriber to the Evening Post,” installed alongside a painting by her husband, Christian. In the painting, the couple’s two-year-old daughter Nana cuts up a copy of that conservative Swedish newspaper, which was critical of artists including the Krohgs. This late-19th century political and social rejoinder to the press is “one of the earliest examples of social critique to include the image of a child in art”, the wall label notes. Framing the show’s 1821 starting point is Johan Christian Dahl’s “Norwegian Landscape with a Rainbow,” from the collection of the National Gallery of Denmark. According to the catalogue, the rainbow evokes Genesis and a divine covenant with humankind; the work overall brings the landscapes of the 17th-century Dutch painter Jacob van Ruisdael to mind as well as Jean-Baptiste-Camille Corot’s iconic style. The installation Crossing Paths (2014), by the Sami artist Outi Pieski, meanwhile incorporates hundreds of tassels tied to wooden branches, functioning as a “drawing in space” that weaves memory with landscape. The same could be said of the exhibition as a whole, which often seamlessly blends human stories with elemental landscapes.